Stanford Motors Inc. is a family owned new & used vehicle dealer. We feature new Chrysler, Dodge, Ram Truck, and Jeep vehicles. We offer all makes and models of pre-owned car and trucks. Stanford Motors also features a quality service, body, and parts department to help our customers maintain their investments. The dealership was established in 1972 by Mr. Thomas Stanford and his wife Mrs. Joan Stanford. We have enjoyed 44 years of quality personalized service to our customers. Stanford Motors is currently operated by Mr. Stanford’s sons, Greg Stanford and Dave Reed who have been in the business since it opened. Together Greg and Dave have invested 80 years in the dealership working in every area of the dealership’s departments. 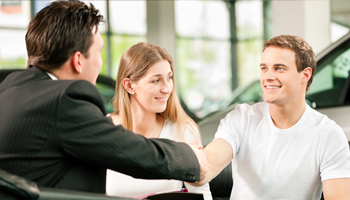 They know how to best serve their customers in all aspects of vehicle sales and maintenance. Come by and experience a real personalized family oriented dealership. No swarming sales people, its about having a good relationship in a comfortable environment. Your dealing with the owners who care about their customers and their needs. We look forward to meeting you and being able to serve your vehicle needs. Be sure to browse through our new and used car inventory, apply for car financing, learn about extended car warranty plans, and use our Vehicle Finder to have us locate the vehicle that you’re looking for – even if it’s not included in our online inventory. We’re here to make your next purchase experience better than any you’ve ever had, so feel free to contact us with any questions you might have.